Mention the words “Costa del Sol” and you’ll probably get a pretty good reaction from the family. 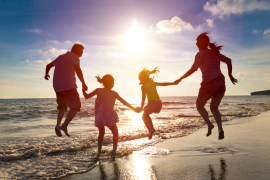 It’s one of the most popular places in Spain for a family holiday, but with all the resorts, towns and beaches on offer, choosing exactly where you’re going to lay your buckets and beach towels can be tricky. Well, if you’re looking for fun, sun and a fantastic range of activities, beautiful Benalmádena could be your answer! This vibrant town is under half an hour from Malaga, so getting there is super easy, and once you’re there, believe me – nobody’s going to be complaining of boredom! One of the town’s premier attractions will not only introduce your kids to some incredible marine animals, it’s also a fantastic way for them to learn about conservation. With events, talks, interactive shows and exhibits, Selwo offers a truly immersive experience for visitors of all ages. Children can get up close and personal to dolphins, penguins and sea lions, and will have the opportunity to explore the plants and animals of the five separate zones: Los Trópicos, Amazonia, Antillas, Las Hondonada and Isla de Hielo. Be warned: you’ll need to set aside an entire day to make the most of this superb attraction. When it’s time to dial up the thrills, head to Tivoli World! 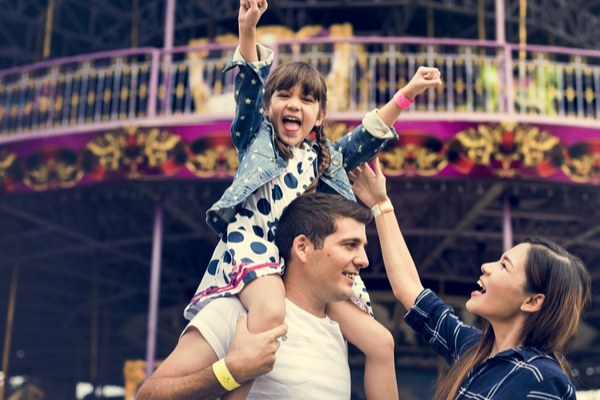 This super fun amusement park includes nearly 40 rides, exciting and flamboyant shows and even some big name concerts in its 4000-seat open-air auditorium. Set amongst lovely gardens, there are restaurants and cafes as well as plenty of places to relax, so it won’t be a chore when the kids beg to stay that extra hour. A real life castle? Well, not quite, but this massive homage to explorer Christopher Colombus is almost as exciting as a genuine medieval castle. 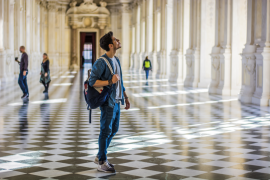 Constructed in 1987 and taking seven years to complete, the monument sprawls over 1500 metres, and its turrets and detailed architecture never fail to inspire young visitors’ imaginations. For the best views over the coast and a fun adventure for the youngsters, Teleferico Benalmádena is a showcase attraction – and a great way to visit one of the highest points in the region. The cable car ride up to the peak of Mount Calamorro takes around 15 minutes and delivers you to the renowned bird sanctuary, Jardin de Las Aguilas, which is home to more than 60 bird species. You can attend the daily shows or simply explore the displays on your own. 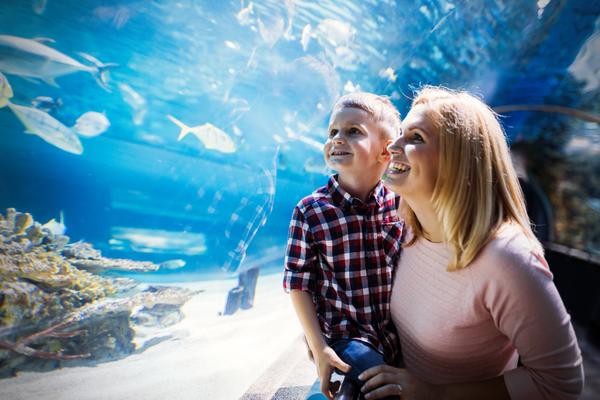 The family will feel like they’ve been transported to another world when you take them to visit the magnificent Sea Life Aquarium. It may not look like much from the exterior, but step inside and you’re suddenly privy to the secret life of countless sea creatures as they swim around and above the transparent tunnels. The kids can get a dazzling fish-eye view of eels, sea horses, sharks and colourful fish – a day at Sea Life will go down as a lifelong memory. This enchanting place is home to more than 1,500 butterflies and children absolutely love it – no surprises there! As the largest of its kind in Europe, you’re guaranteed a really lovely family day out in the exotic, Asian-inspired gardens complete with trickling waterfalls and lush, colourful flowers. The most magical place in the park is the nursery, where you can see brand-new butterflies as they emerge from their cocoons. These are just a few of the many attractions in this lovely town on the Costa del Sol. 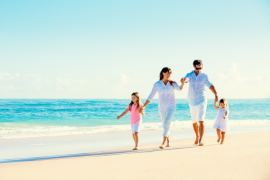 Throw in the stunning beaches and superb family-friendly accommodation options and it’s very hard to beat! Benal Beach Apartment: For a welcoming home-from-home, you don’t have to go further than the Benal Beach Apartment. The apartments are spacious and air-conditioned and include a kitchen with a microwave. The children will absolutely love the pool area, and there are lots of sun loungers for the parents to relax. All this and just a short walk from the beach. 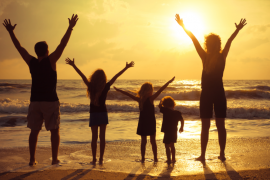 Getting the family to your holiday escape in Benalmádena is a breeze. Flight time from London to Malaga Airport is just under three hours, meaning there’s no chance for the kids to get bored. There are plenty of carriers that offer direct, low-cost flights so you won’t have any trouble finding a convenient time. 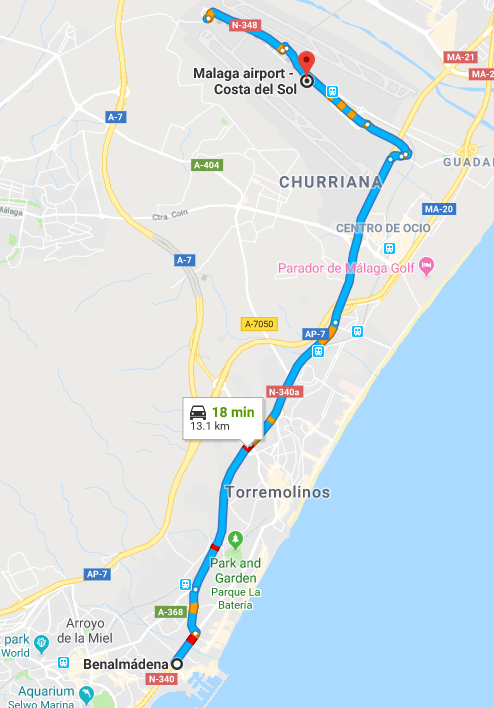 Once you land, I find the most convenient way of getting from Malaga Airport to Benalmádena, is on a pre-booked shared or private shuttle with Shuttle Direct. It will take just over 20 minutes, which is so much easier than trying to navigate public transport with kids or pay for an expensive taxi. 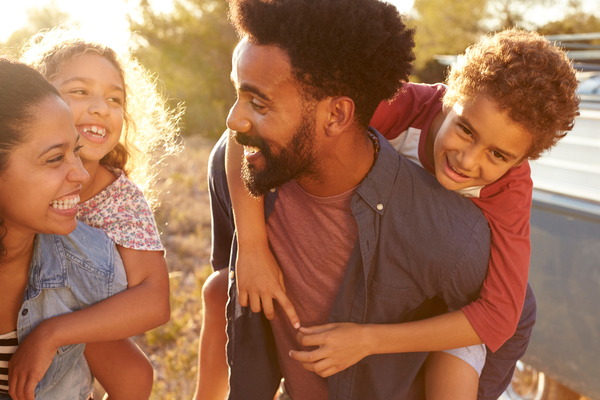 If you need to get your family from the airport to your accommodation in the easiest and most cost-effective way, Shuttle Direct has the answer. We’re the most trusted name in the industry and our range of shared and private services will get you wherever you need to go. Make a simple online booking before you leave home and we’ll do the rest!